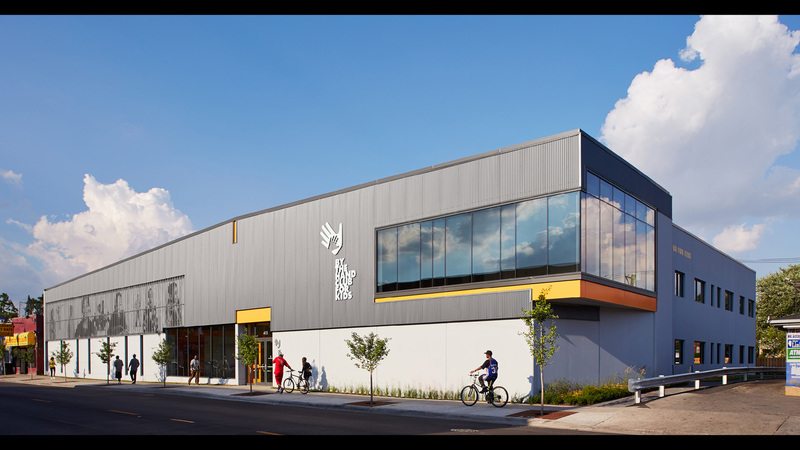 In the summer of 2013, By The Hand Club For Kids opened a brand-new 26,300 square foot facility in the Austin neighborhood. 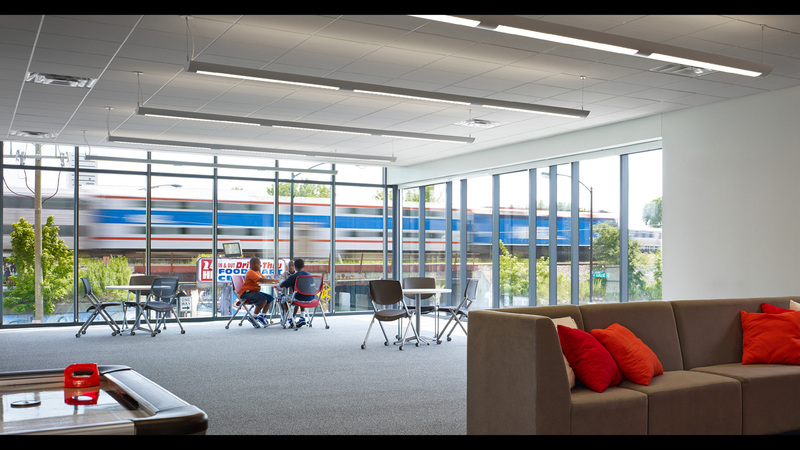 The new facility hosts (8) spacious classrooms, a reading room, sun-filled multipurpose social space for high school students, a bright gymnasium that doubles as a cafeteria, an auditorium and office area. Fulfilling the needs in Austin for a safe, nurturing environment for the neighborhood youth, the site serves 264 students annually and is open seven days a week to meet the needs of the community. 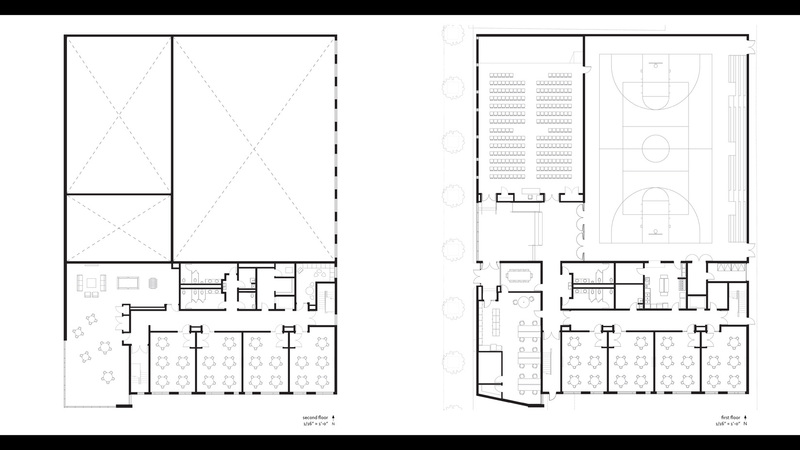 The two primary objectives in the building’s design, 1) cost- effectiveness and 2) brand integration. 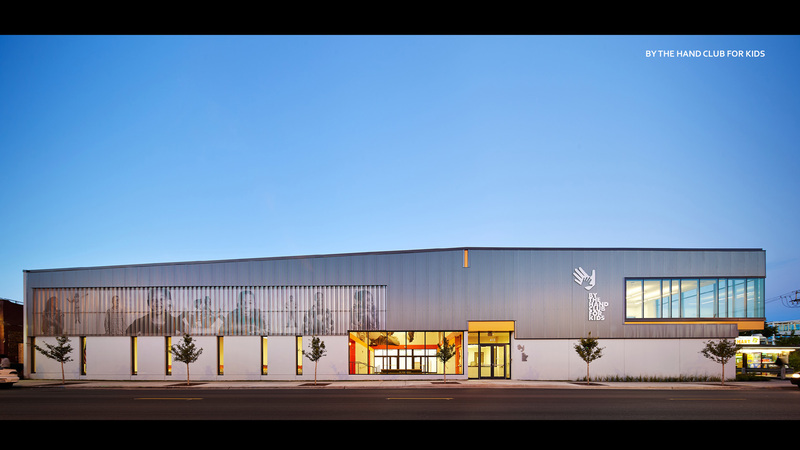 The after-school center was largely constructed of prefabricated systems that decreased costs and improved project delivery. 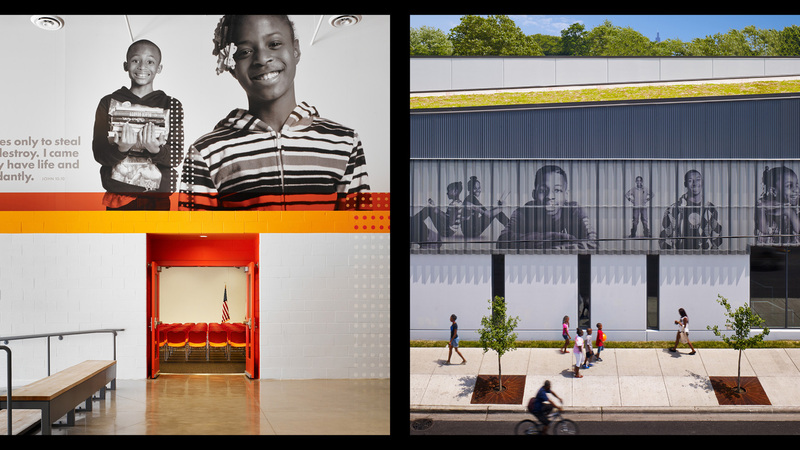 This savings provided opportunity to incorporate larger than life images of BTH kids into the exterior skin and interior space. At dusk the interior imagery is seen through the large storefront glass and creates continuity with the exterior and connection to the community. 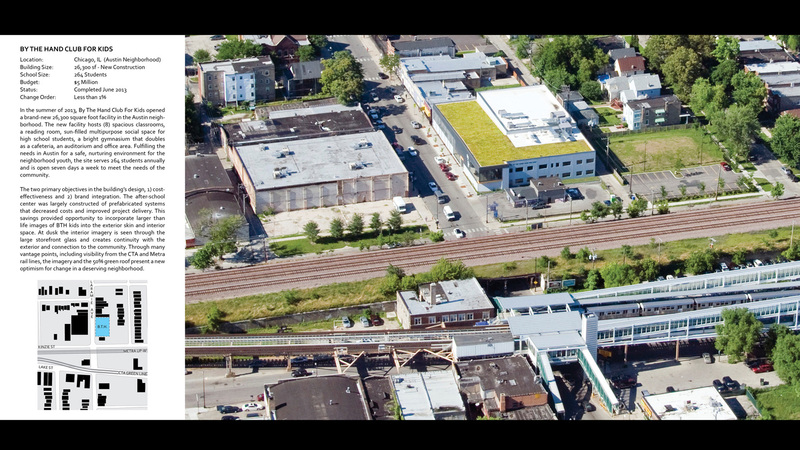 Through many vantage points, including visibility from the CTA and Metra rail lines, the imagery and the 50% green roof present a new optimism for change in a deserving neighborhood.